The new sizing systems are designed to work with a wide range of polymer chemistries and are available on a range of fiber diameters and are suitable for a range of high temperature resin systems such as PEEK, PEKK, PEI, PPS as well as engineering resins such as PA 6, PA6.6, PA11, PA12, PC, and PBT. The sizing can be supplied on E-Glass and S-2 Glass based yarns as well as existing system used on ZenTron® rovings, S-2 Glass assembled rovings and chopped glass fiber formats. AGY has been an innovative leader in reinforcement fiber for decades and is a recognized leader for the quality and breadth of its product line. 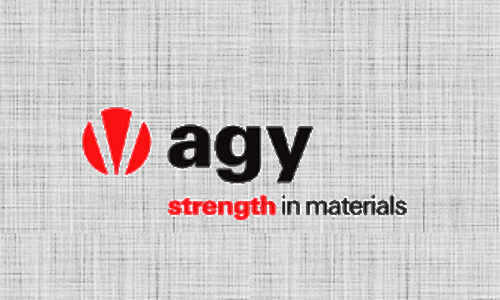 For more information call 888-434-0945, or visit www.agy.com.